Founded in 1969 to provide the Turkish consumers modern tissue paper products, IPEK KAGIT Tissue Paper has been Turkey’s industry leader for 45 years. It provides well-known consumer brands like Selpak, Solo, Silen and Servis as well as the away-from-home brand Selpak Professional for the fast growing tourism catering and institutional customer segments. Headquartered in Istanbul, Turkey and employing 860 people, Ipek Kağıt has manufacturing operations in three locations: Yalova, Turkey (tissue production and converting), Manisa, Turkey (converting) and Almaty, Kazakhstan (converting). Already exporting finished products and tissue parent rolls to more than 50 countries, İpek Kağıt Tissue Paper is now focusing on increasing its international sales fourfold and doubling its total revenue in the next five years through investments in production, technology and marketing. With a combined investment outlay of $300 million, that includes a state-of-the art, 70,000 ton paper machine, İpek Kağıt will increase its production capacity through new investments in Manisa and Kazakhstan and thrust Selpak to the forefront of a whole new category, medical hygiene. Ipek Kagit is part of Eczacibasi Group, a prominent Turkish industrial group with 41 companies, 12,115 employees and a combined net turnover of 6,7 billion TL in 2013. The Group operates in businesses of building materials, healthcare and consumer products as well as finance, information technology, welding technology, mining and property development and facility management. 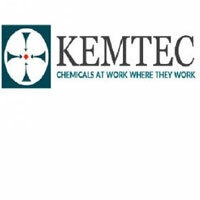 KEMTEC Srl, Kemtec’s funding concept was to combine technological and chemical knowledge, in order to devise and manufacture new generation chemicals for specialty treatments of industrial processes. Inspired by this guiding principle, since its birth, Kemtec has endeavored to seek and implement solutions based on customized formulations and application plans. Kemtec’s field of expertise has always been based on skill and experience of all its members and it developed according to specific requests coming from the market. Currently, our chemical aids are employed for a variety of industrial operations, whereas our main attention is focused on paper, sugar, process water and fuel. Regardless of sector, philosophy stays same: to provide effective solutions according to real source of problem, considering both global impact and the impact of the global. Clearly, effective means cost-efficient and performance-yielding, since in any economic activity all exerted actions must make profitable sense and they must translate into revenue. So, as we strive to reduce any entropy, we achieve minimizing loss. In all cases, we examine the whole picture, trying to detect and fix root-causes of inefficiencies. Our aim is to successfully pinpoint actual sources of possible improvement, so as to optimize operating conditions while also avoiding undesirable side-effects. 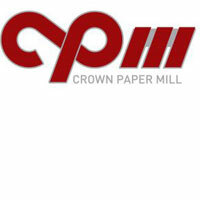 Established in 1996, Crown Paper Mills LLC (CPM) is a producer of Jumbo Tissue Paper rolls. The mill covers a total area of 50,000sqm, with an annual production capacity of 35,000 metric tones having machine deckle size of 1860mm for PM1 & 2700mm for PM2. Headquartered, in the Industrial city of Abu Dhabi (ICAD) – U.A.E, the mill’s “Prime Quality” Jumbo Rolls come in various grades such as Facial, Toilet, Kitchen Towel, Napkin, C-Fold and Carrier Tissue ranging from 13.5gsm – 45gsm. Our mission is to serve our partners by providing best quality of tissue in the region and to fulfill the demands we also have expansion plans by year 2018 with new machine having annual capacity of 65,000 MT with deckle size of 5,650mm. 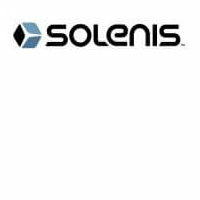 Solenis is a leading global manufacturer of specialty chemicals for the pulp, paper, oil and gas, chemical processing, mining, biorefining, power and municipal markets. The company’s product portfolio includes a broad array of process, functional and water treatment chemistries as well as state-of-the-art monitoring and control systems. These technologies are used by customers to improve operational efficiencies, enhance product quality, protect plant assets and minimize environmental impact. Headquartered in Wilmington, Delaware, the company operates 30 manufacturing facilities strategically located around the globe and employs a team of 3,500 professionals in 118 countries across five continents.